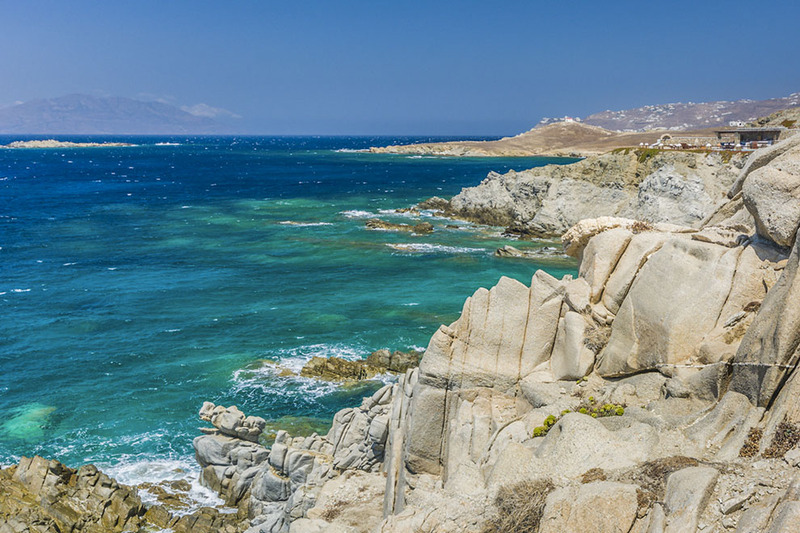 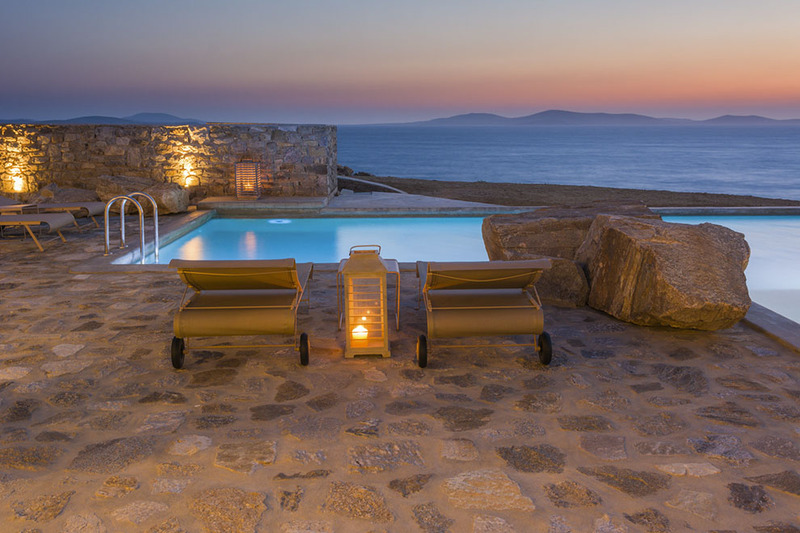 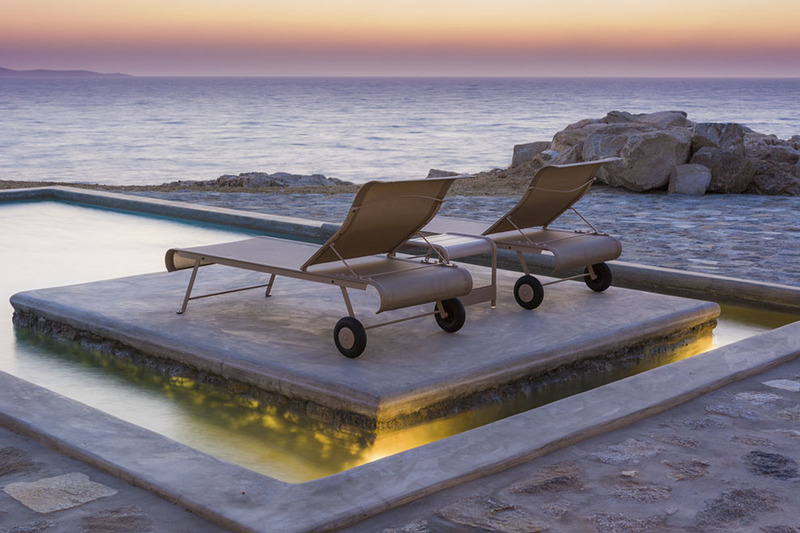 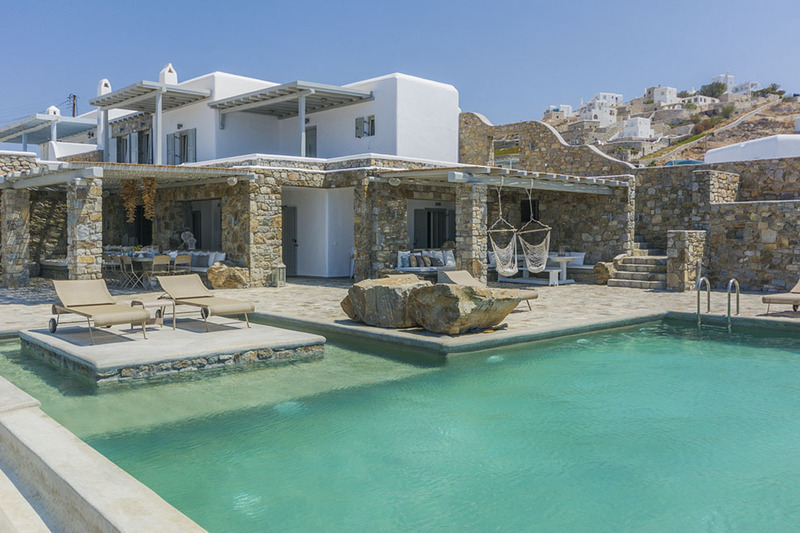 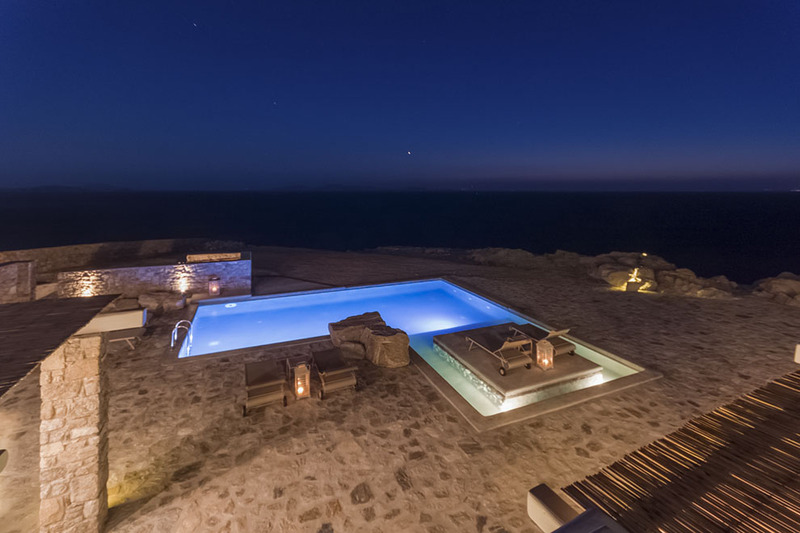 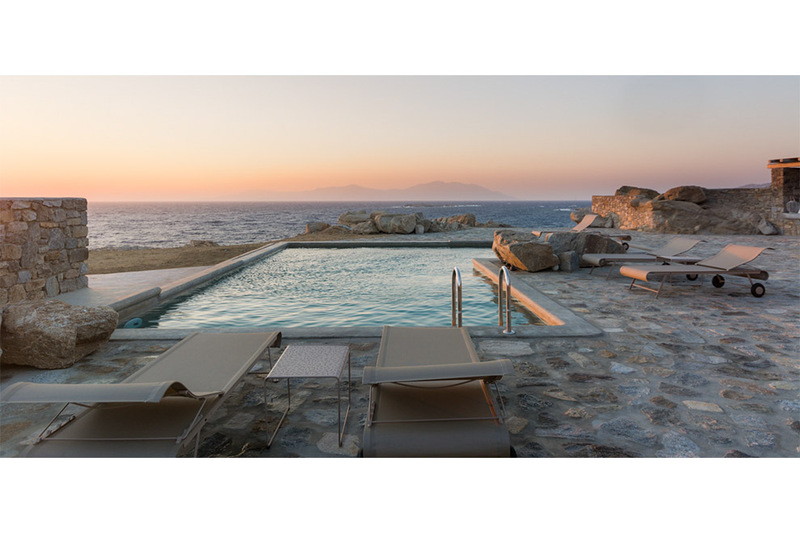 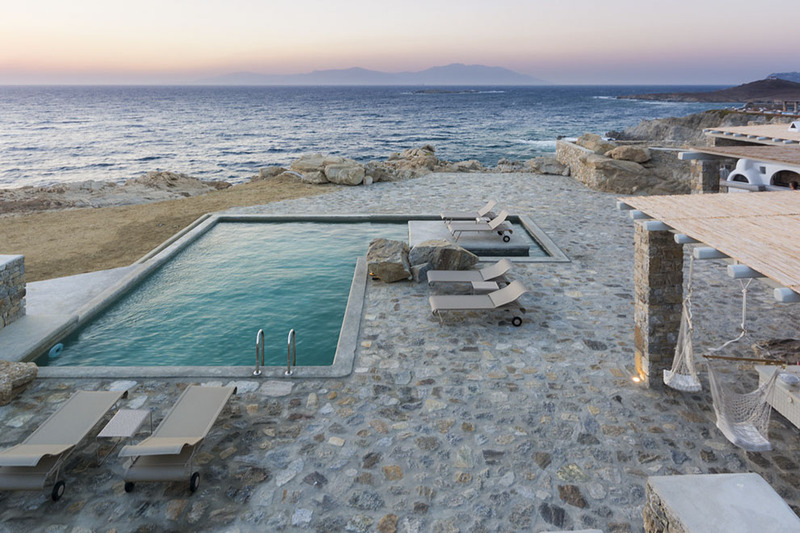 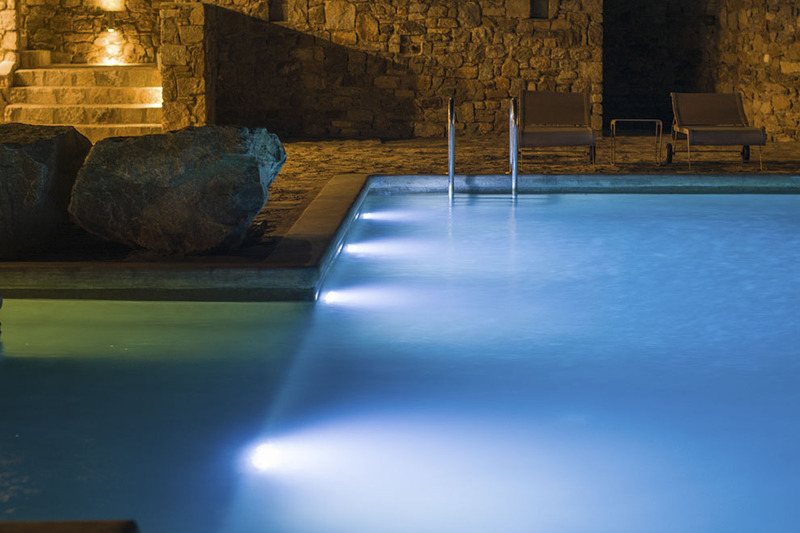 Extending in two levels, absolutely no comfort has been spared in this luxurious Mykonos villa! 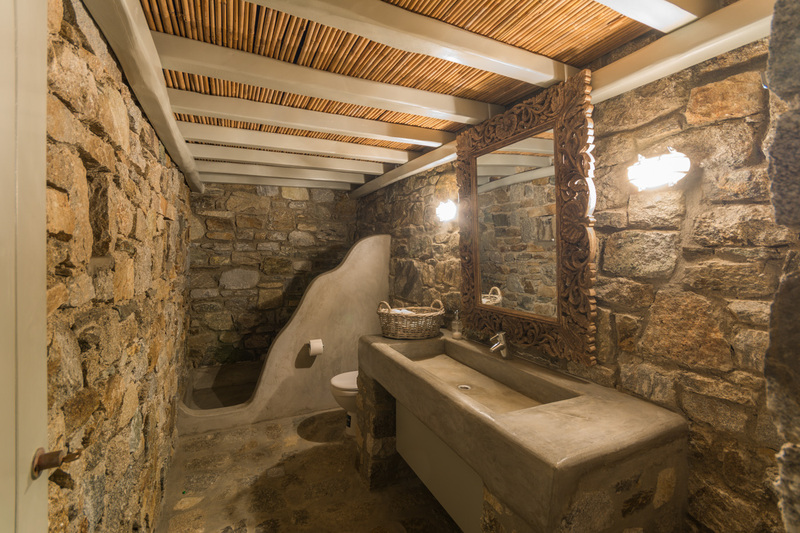 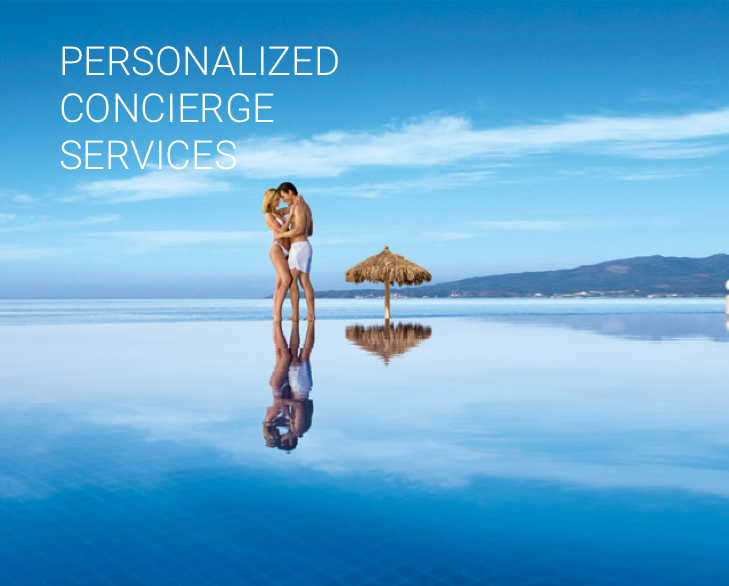 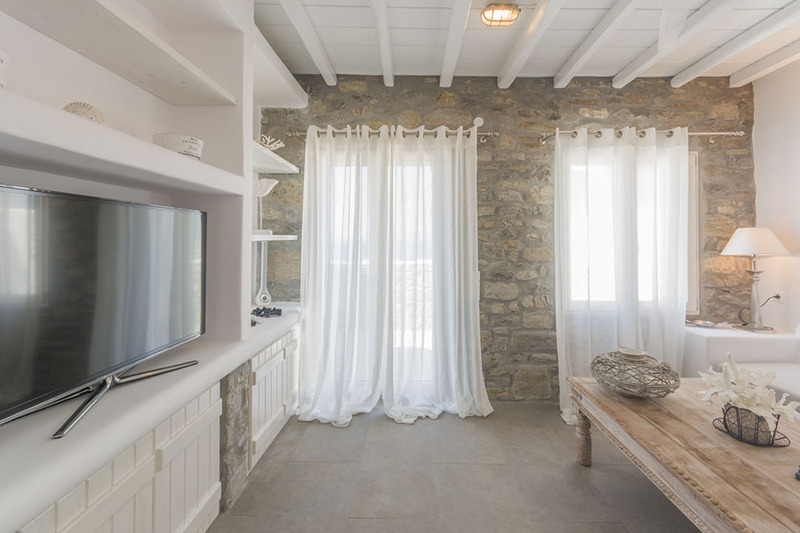 The main house is dominated by the spacious reception areas; two large and cozy living rooms (one of which has also a gorgeous fireplace) a modern and stylish dining room and an inviting fully-equipped kitchen. 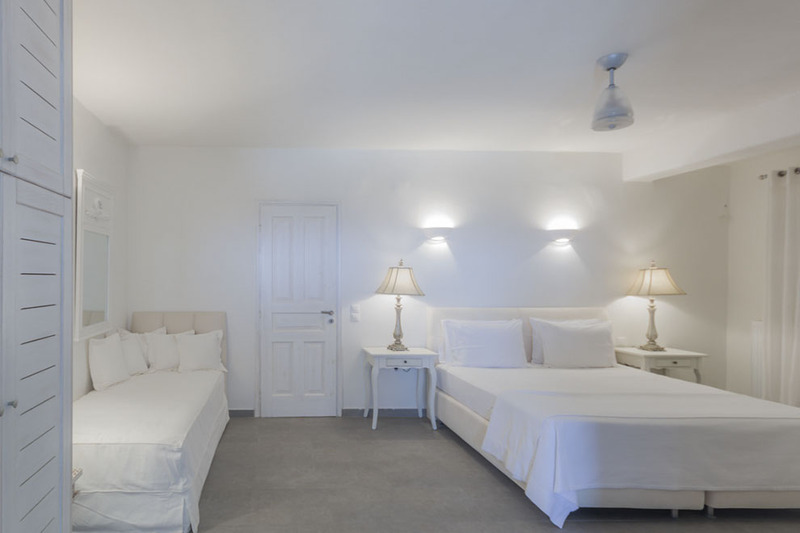 At the same level as the reception areas is located the master bedroom with a comfortable king sized bed. 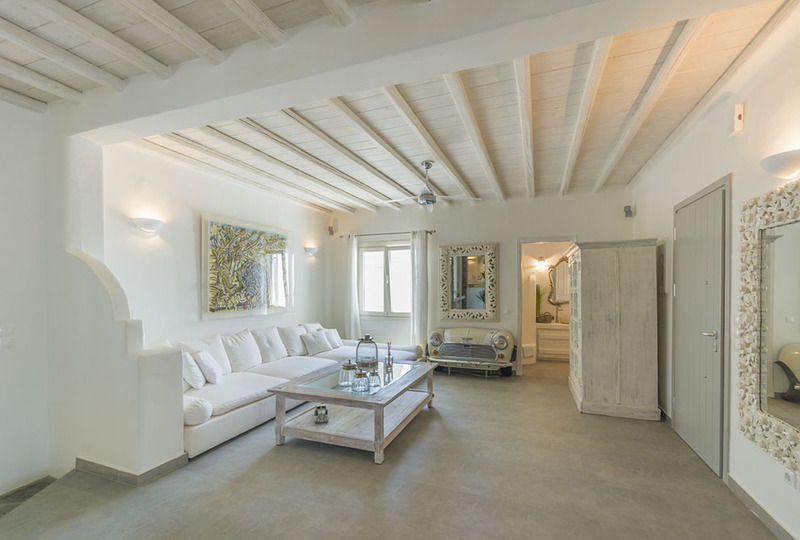 The villa has four more bedrooms located at its lower level that can sleep eight adults as well as four children at the bedrooms’ sofa beds. 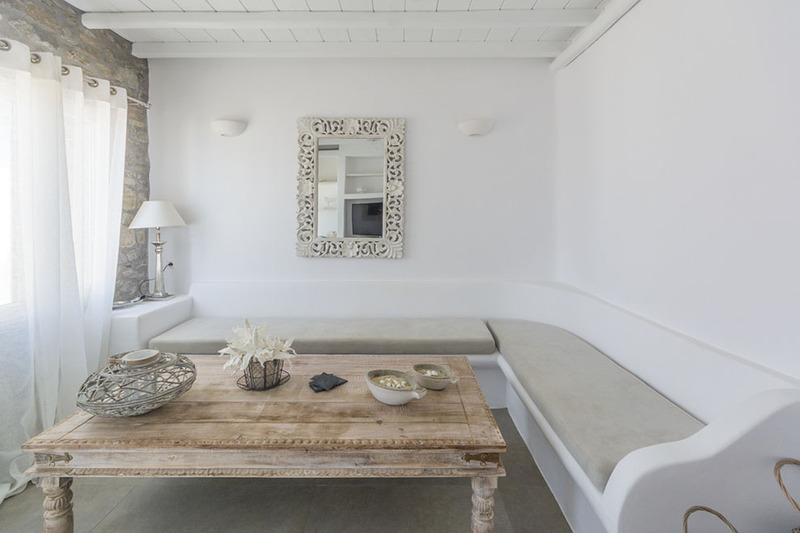 At the same level, you will also find one living room, two kitchens (one of which serves the outdoor spaces of the villa) and one staff room. 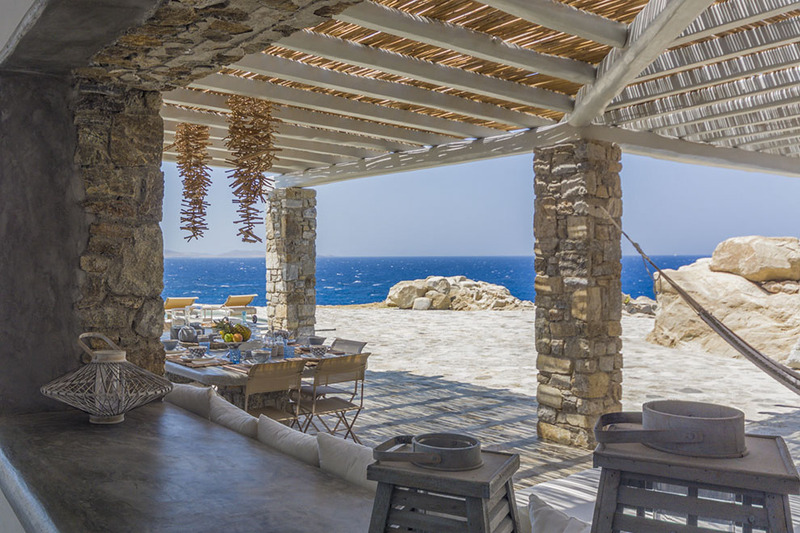 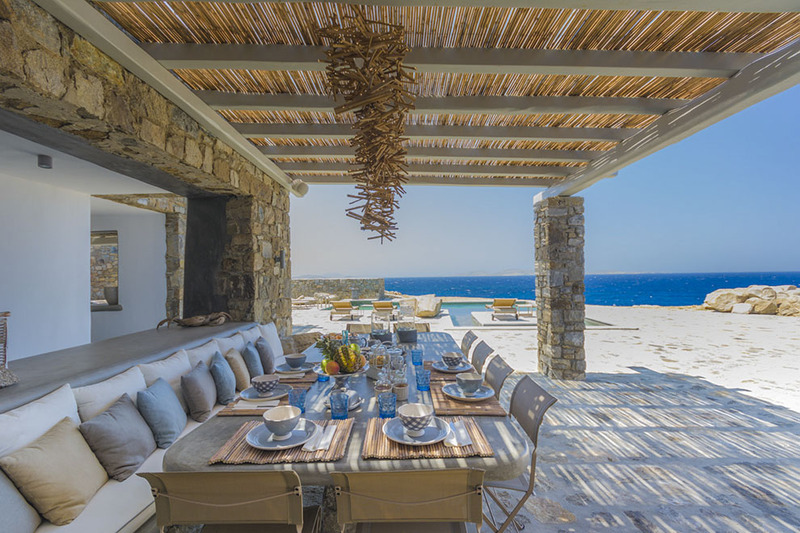 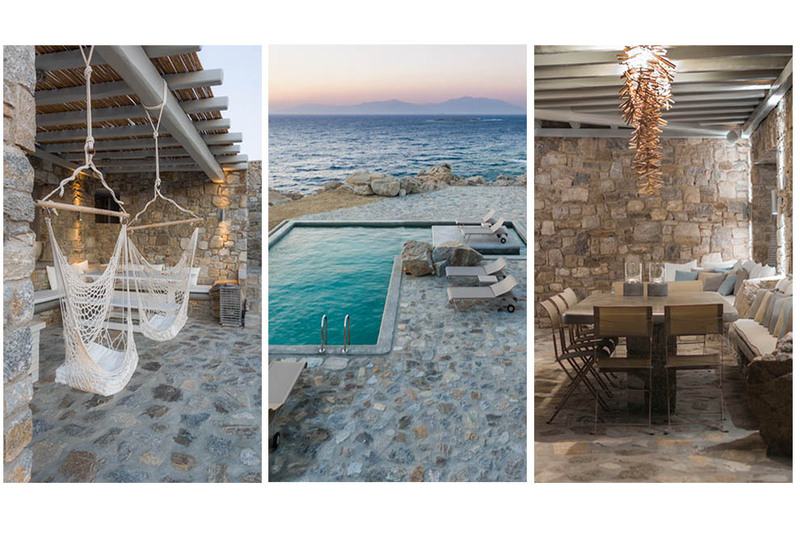 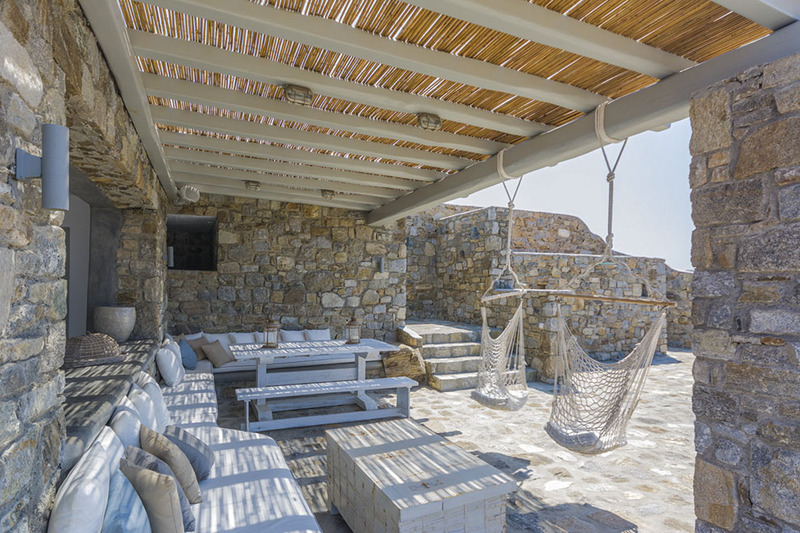 Designed by distinguished Greek architects, Villa Vague has followed the traditional Cycladic architecture and has the perfect combination between white backgrounds and furnishing, wooden surfaces and “stone touches”. 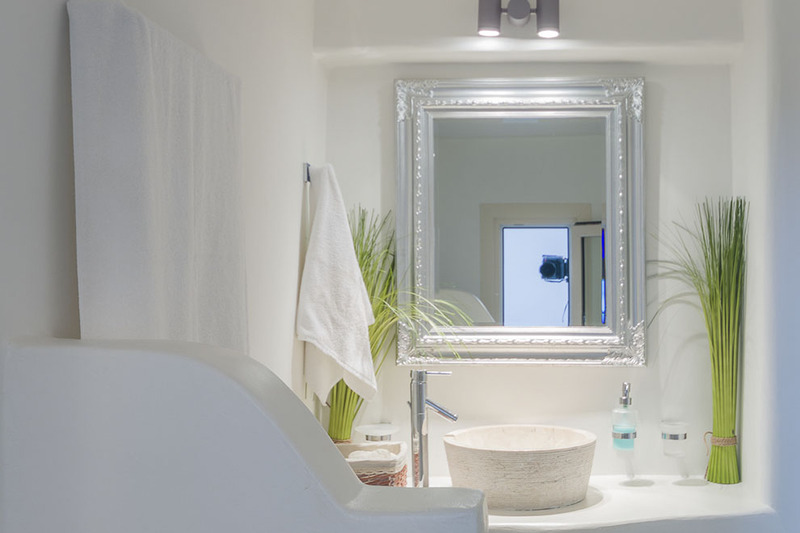 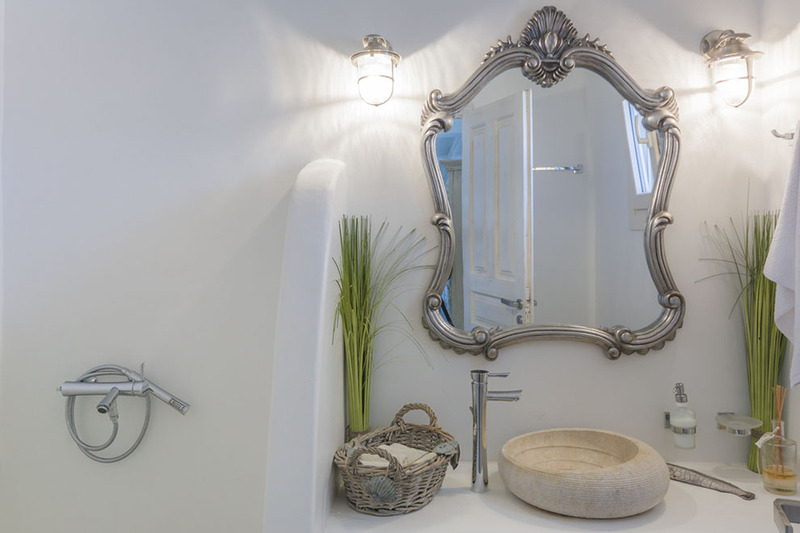 The classic design is complemented by a contemporary twist of modern taste and delicate but impressive details such as big mirrors and beautiful pieces of art.